Many of my current clients know how I work, however how do you tell your friends how I work? I am an LMT, my goal is to restore function & mobility to affected joints and/or body parts using manual and mechanical techniques to ensure overall health and wellness. Restore function of an affected joint or body part. May perform massages for pain and muscle disorders, although that is not their forte. Physical therapists focus intensive session on a particular area, while. 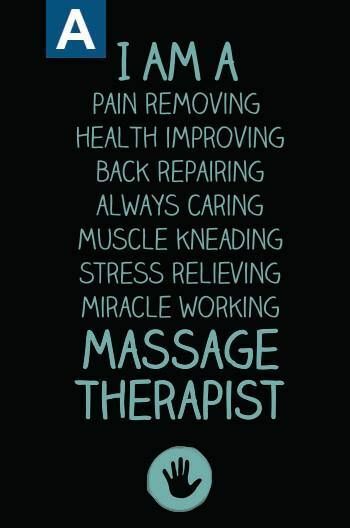 Massage therapists seek to ensure overall health and wellness of the body. Compliment to physical therapy many times, so it is not uncommon for a person to visit both practitioners. Relieve stress of muscle tension as a preventative technique to more serious injury. Massage sessions take longer and encompass the entire body. Your choice of a physical or massage therapist will depend on what you want accomplished. If you are desire relaxation stress and pain relief, a massage therapist is your go-to, whereas if you are seeking ways to actively recover from an injury, a physical therapist may be a better fit. Sometimes, a joint approach may facilitate faster recovery, as their approaches to healing can be used in conjunction to result in a better outcome.